layouts and powerfull extensions that will make your store outstanding. 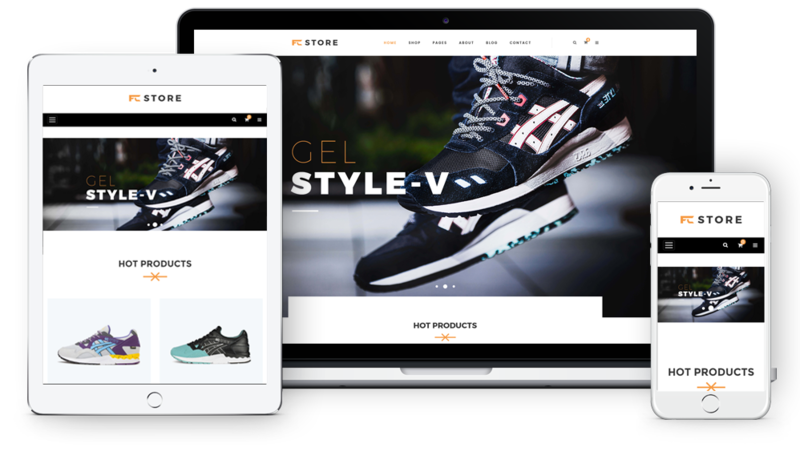 You are free to change the new appearance of your store with our 2+ artistic and gorgeous homepage layouts..
Fcstore is built with new web technology: Bootstrap 3, Font Awesome 4, LESS, CSS3, HTML5 that makes the theme more powerful and flexible. You are enable to show sales and promotions, upcoming events as well as for other different purposes with countdown timer integration. Color Swatches function integrated in variable product which can show to your customers how a product looks like in different colors. 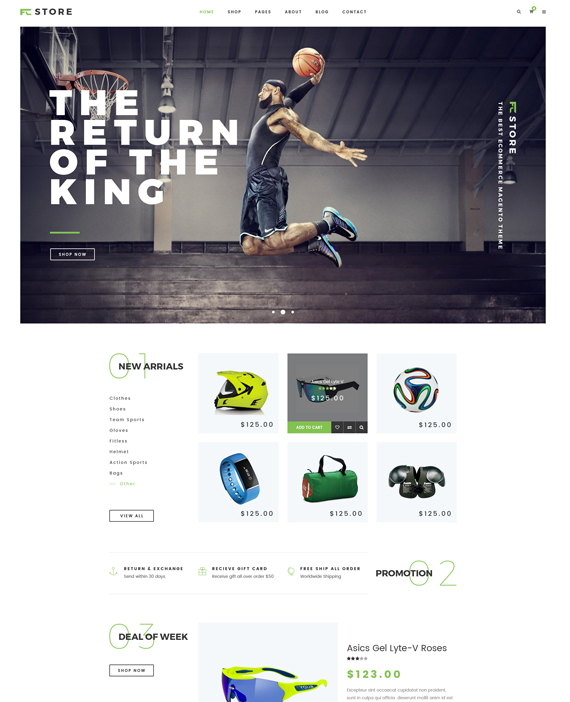 A robust, multi-purpose layout fit for sport stores, shoes stores and many other stores. 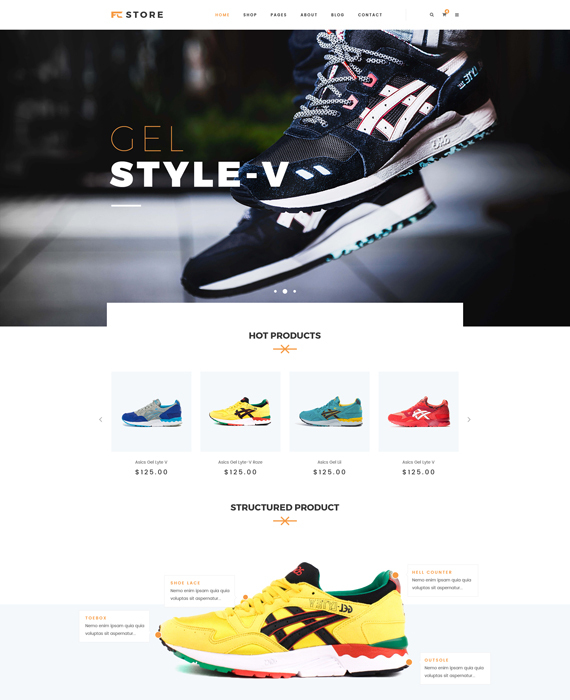 A modern layout with huge of advaced features for multipurpose online stores.